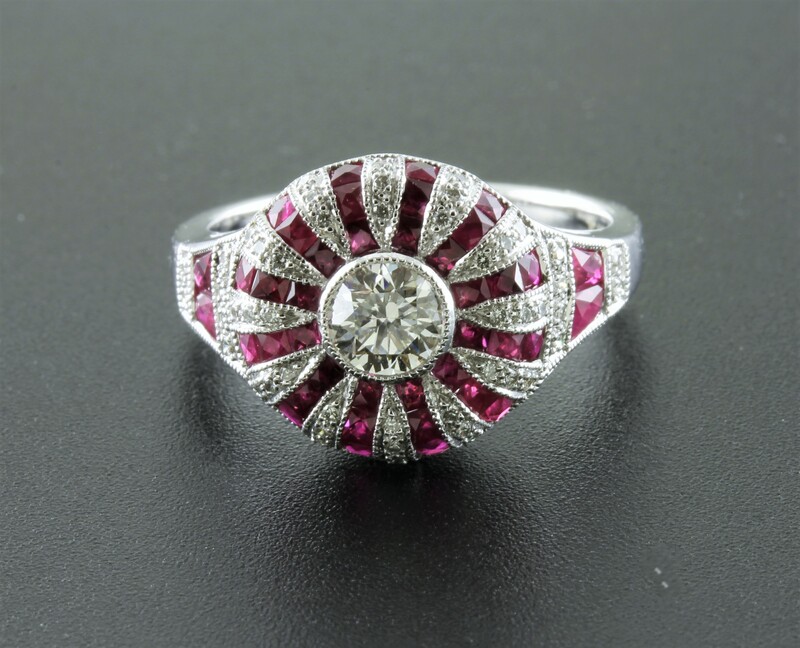 This handmade ring has an Art Deco flare and a very unique design. This contemporary piece is quite unique. Set with fine diamonds in 18kt white gold. This sweet pendant glimmers in any light. 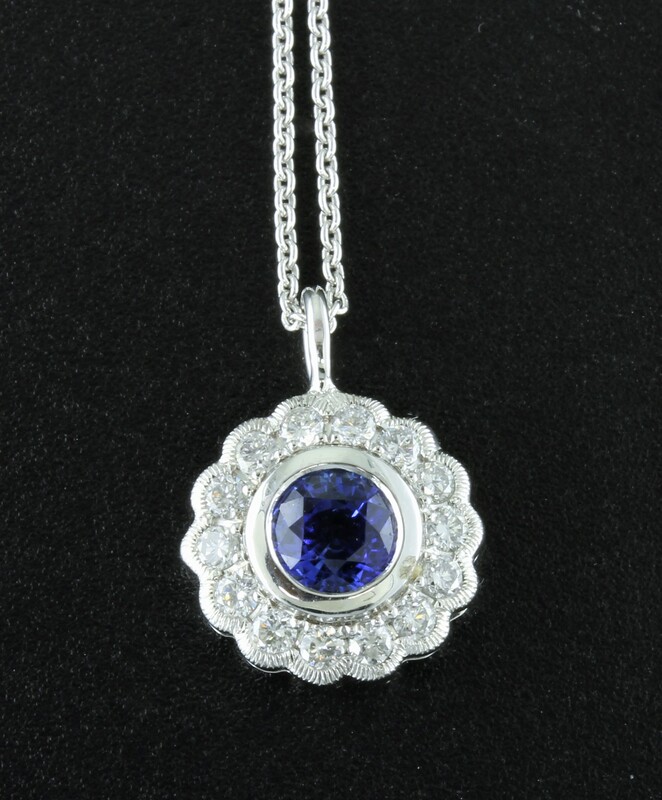 This pretty pendant glimmers with diamonds and a halo of sapphires. This lovely pendant has an Art Deco look to it. 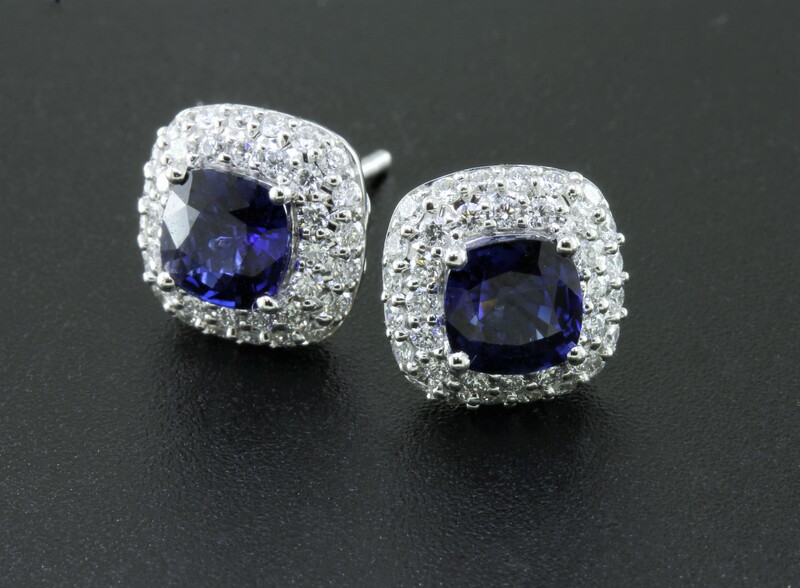 Handmade in 18kt white gold with a beautiful blue sapphire and twinkling diamonds. 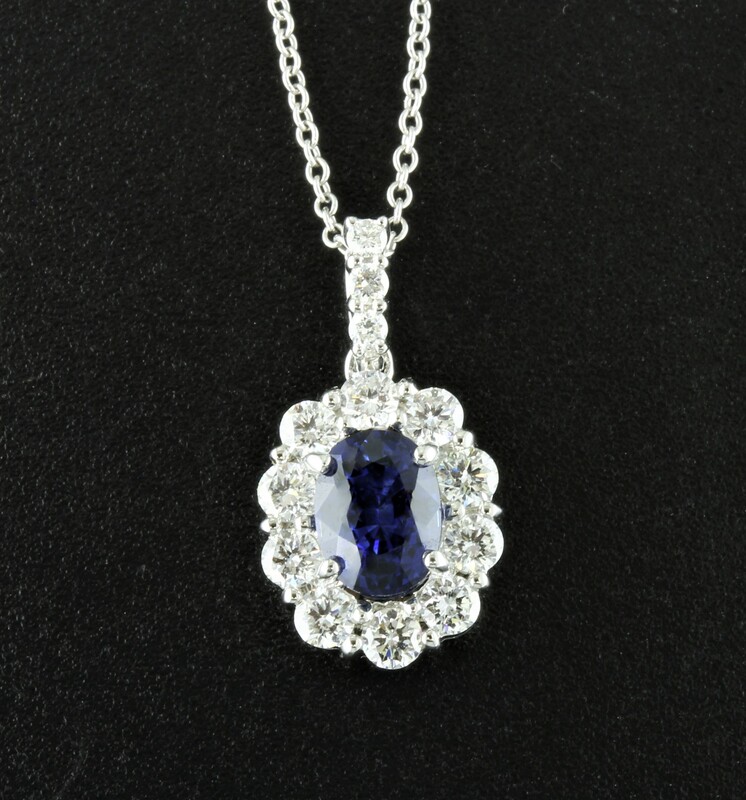 The sapphire in this piece is that perfect hue of blue. 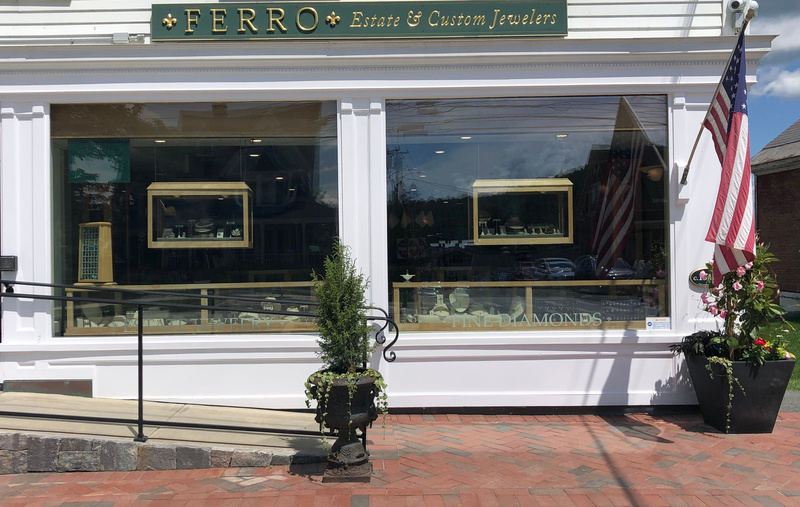 The surrounding fine diamonds not only showcase the color of the sapphire, but make a statement all their own. 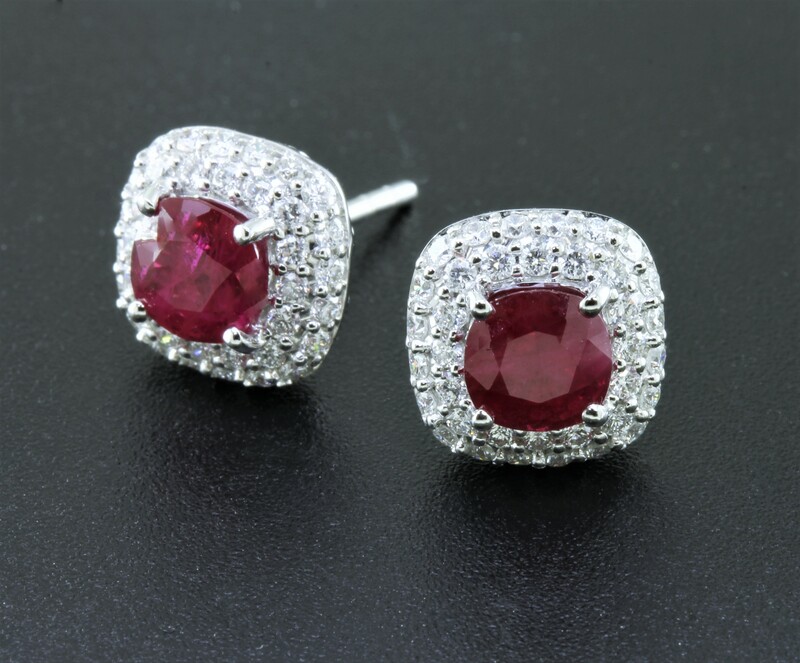 The rubies in these earrings have an inner glow. 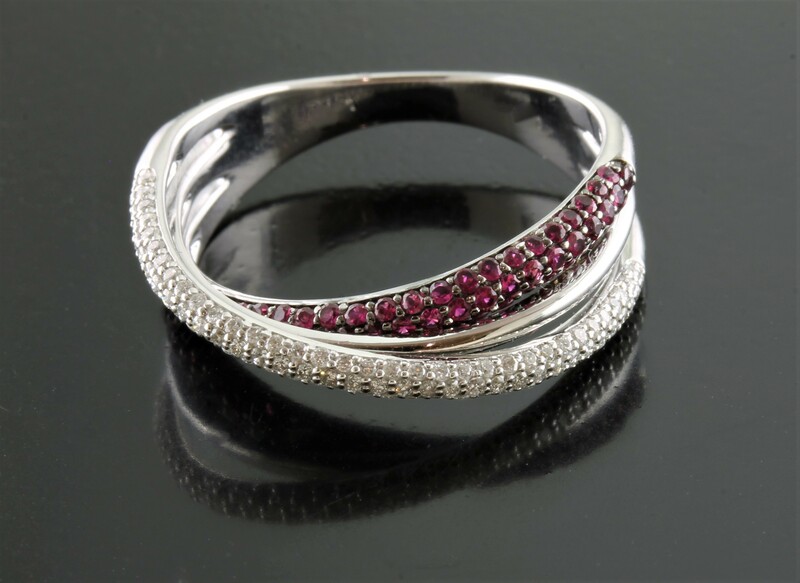 The double halo of diamonds is the perfect compliment to the striking red hue of the rubies. Luminous blue, cushion cut sapphires surrounded by a double halo of glittering diamonds, set in 18kt white gold. 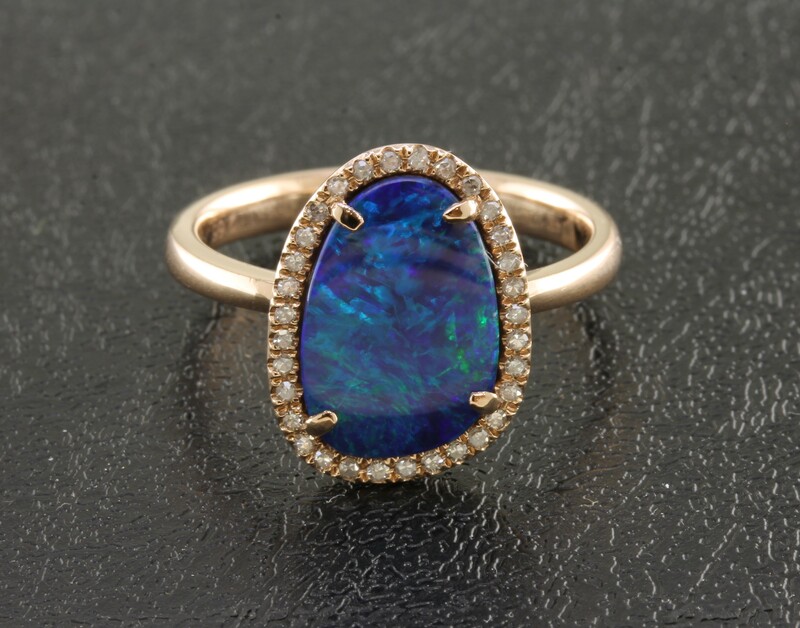 This piece has an organic design that showcases the brilliant fire of the opal.A delicate row of diamonds circles the opal...all set in rose gold. 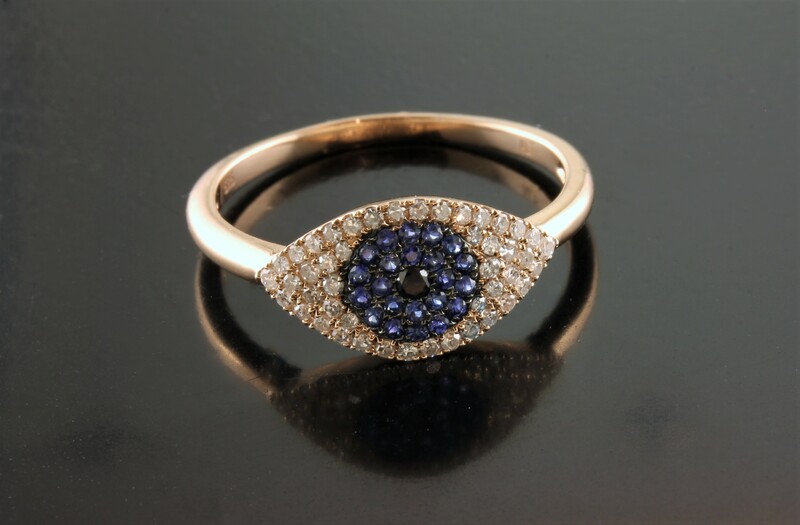 This intriguing evil eye ring is comprised of white diamonds, blue sapphires and a black diamond at the center. The ring sits flat on the finger and is meant to be worn every day. This sweet design is subtle enough to wear every day. 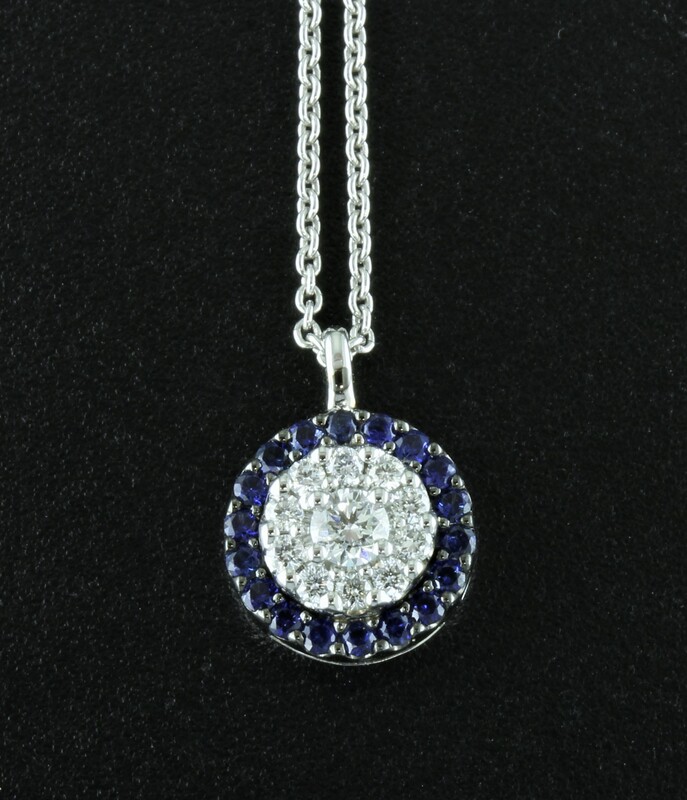 Accented with white diamonds, blue sapphires and a black diamond at the center. A contemporary, fashion forward design.